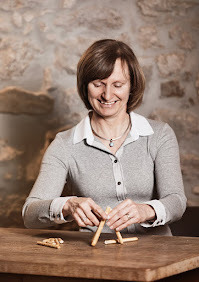 In my post reviewing best restaurants in Olten and surroundings I mentioned that Felsenburg is my all time favorite restaurant in my region over time. I have been a regular at this great restaurant for over 30 years. I already used to go there with family when I was a teenager. Only very rarely Felsenburg failed to satisfy my expectations and this only in minor cases. 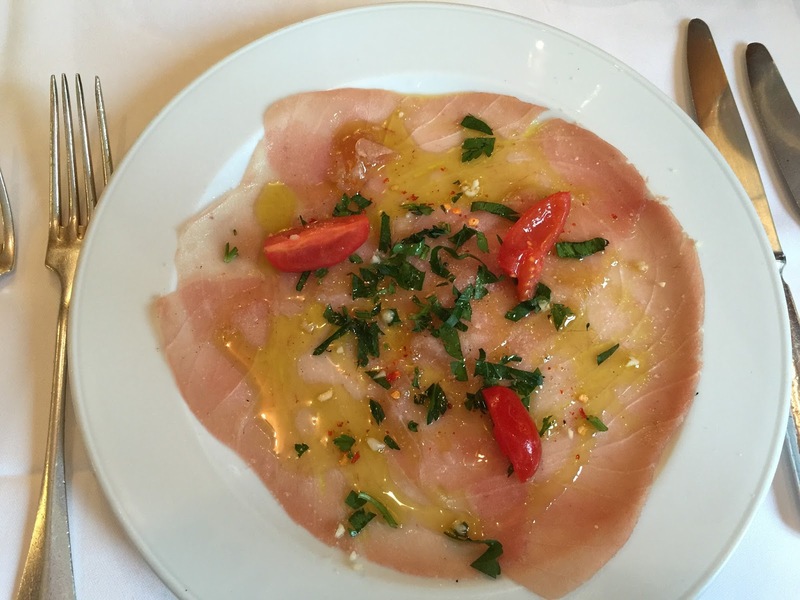 This restaurant has been serving upscale Italian cuisine, sometimes with a French twist, for almost 50 years. The menu has been left more or less unchanged since the date of foundation. Sometimes a dish has been added or removed, but the classics are the same as ever since. Popular dishes are the following ones. 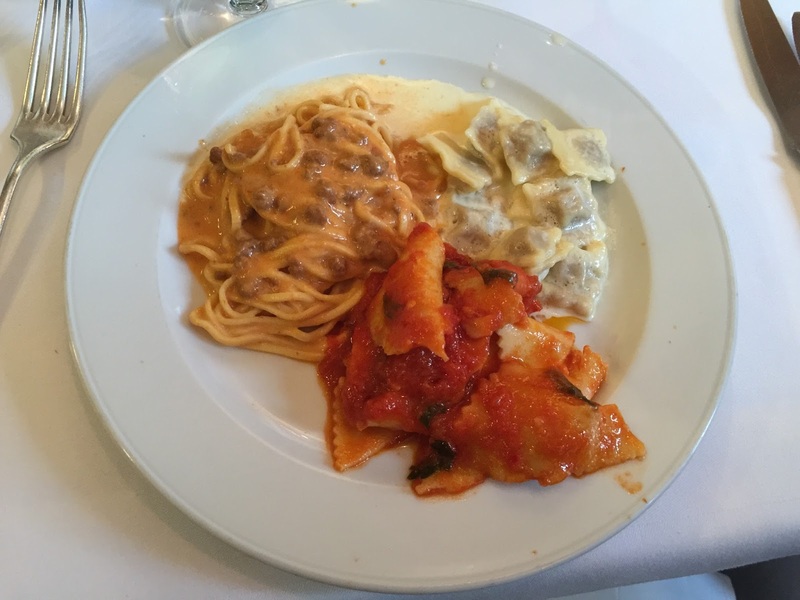 First of all, there is the famous Pasta Mista, three different sorts of pasta, which is the best pasta combination I have ever tasted! You can have it as a starter (one serving) or as an entrée (two servings). 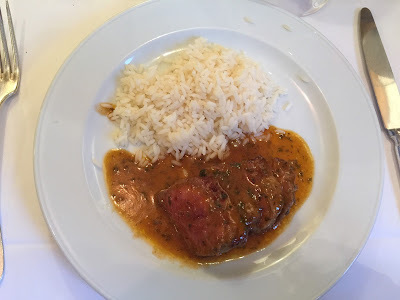 Another favorite is Entrecote Scheck, thinly sliced beef with a heavy brown butter sauce. Another popular meat dish is Scaloppine Marsala with Parmesan risotto, veal escalope with a delicious port wine sauce and a divine risotto. The owner, Sergio Salsi who took over from his father Adriano, is also the one who grills top-notch pieces of meat in front of the guests. He is also the one who can suggest a good bottle of wine that is not on the extensive wine list with lots of reasonably priced choices. Furthermore, Felsenburg is known for its Beefsteak Tartar. If you are more into fish, there is a quite a wide selection (turbot, sole, monkfish), all with more or less heavy sauces. When it comes to desserts, the Tiramisu is not to beat; also very good are the Panna Cotta, the Caramel Pudding, the Zabaglione and the Crepes Suzette (thin pancakes with an orange liqueur sauce, flambé in front of the guests). If you are wondering why I mention these many dishes and not simply refer to the menu published on the internet, then I can answer you that you most probably will not find it there. Felsenburg has no website and there are almost no pictures of it on the internet! Felsenburg has that many regulars that it does not need to advertise as its competitors. Another thing that is particular for this restaurant, is its interior. As I mentioned earlier, Felsenburg was established almost 50 years ago. Since then, the equipment and the decoration remain more or less unchanged. I can remember a color change with the tablecloths and the napkins from beige to white some 15 years ago or some paintwork, but that is it! You can imagine that the restaurant is no feast for the eyes! But that is no issue, also for me being sensitive as it comes to design. You go there because of the food, the wine and the host’s warmth and humor. One limitation has to be noted: if you are more into lighter cuisine, then you might be at the wrong place. Or do it as I do when I care for a light meal, have the Carpaccio al Tonno, a piece of meat from the grill with vegetables and a small serving of coffee ice cream. Believe me, I have widely traveled, but I have never ever met another Italian restaurant that is equally good, and this with a consistency for over three decades!